"I am the Doctor. Whether you like it or not." Peter Davison's final season was once again shown twice-weekly. It kicked off with 'Warriors of the Deep which saw the return of both the Silurians and the Sea Devils, last seen during the Pertwee era. Set on an underwater sea base 100 years in the future, the Doctor, Tegan and Turlough have to help the crew of the sea base to defeat the Silurians and Sea Devils who are trying to start a nuclear war that will wipe out the human race. It's fair to say that 'Warriors of the Deep' is not a well-loved story, either by fans or those who worked on it. By all accounts time was very tight during filming, even more so than normal. A lot of the scenes had to be recorded in one take which made things rather fraught. And then there's the Myrka. 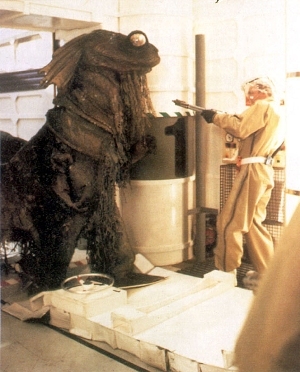 The Myrka was supposed to be a fearsome undersea monster, unleashed by the Sea Devils on the crew of the sea base. In reality, it looked like a pantomime horse (and was, in fact operated, by the same men who operated Dobbin the pantomime horse in Rentaghost), the costume still had wet paint on it, which rubbed off on the set and the scent of the glue used to put the costume together was so strong that one of the operators almost got high from the smell of it. Overall not a great success. Fortunately, the next story 'The Awakening' was rather more successful. The TARDIS crew travel to a small English village called Little Hodcombe to visit Tegan's grandfather. They find a series of English Civil War re-enactments taking place which is not really that unusual. However those behind the re-enactments are under the mental control of a giant alien creature called the Malus. The Malus crashed down to Earth hundreds of years earlier and was trapped beneath the village church. One of the highlights of the story, and an enduring image from when I first watched this as a youngster, is the sight of the giant head of the Malus trying to break out of the wall of the church. 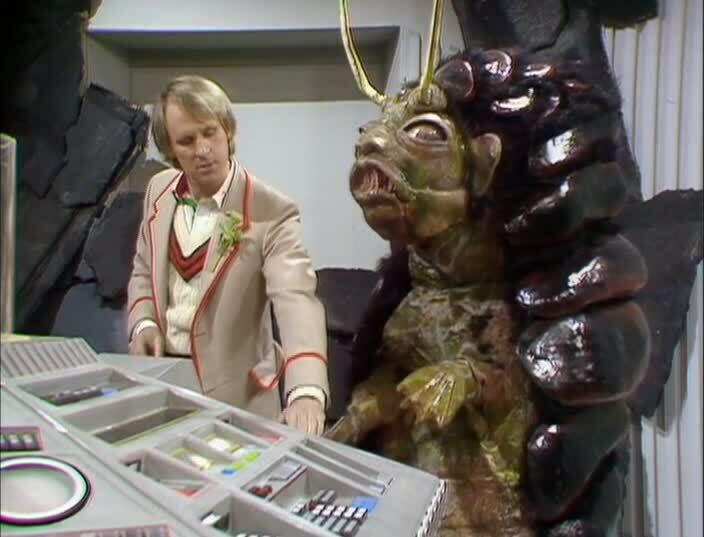 After defeating the Malus and spending some quality time with Tegan's grandfather, the TARDIS travels to the far future and a remote Earth colony called 'Frontios'. As is implied by the title, Frontios is a frontier world where the colonists are struggling to survive. They're not helped by the fact that they are under attack from giant woodlice-like creatures called Tractators who are able to control gravity. ...straight into a Dalek time corridor. Yes, the Daleks are back in their first full story since 1979's 'Destiny of the Daleks'. Rather appropriately the story is entitled 'Resurrection of the Daleks' although strictly speaking it should probably be called 'Resurrection of Davros'. A sequel of sorts to 'Destiny of the Daleks', 'Resurrection sees the Daleks attacking the prison ship that holds Davros and freeing him from imprisonment. They want Davros to help create the cure to virus that is killing the Daleks. Davros has other ideas though and instead creates his own little army of Daleks loyal to him rather than the Supreme Dalek that rescued him. The story ends with a big battle on present day Earth between two different factions of Daleks with the Doctor and his companions caught in the middle. In the aftermath of the bloody battle, with both Daleks and Davros apparently disposed of, Tegan decides to stay on Earth having decided that travelling with the Doctor has stopped being fun. Two things to look out for in this story: the first is an early TV appearance by Leslie Grantham, who in a year's time would become famous as Dirty Den Watts in EastEnders. 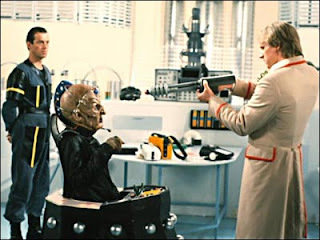 Secondly, this story introduces us to the character of Lytton, an alien mercenary who is working for the Daleks. He spends much of the story posing as a police officer on Earth alongside two silent but deadly henchmen disguised as constables. These three men are the only characters other than the Doctor and his companions, to come out of this story alive and they will appear again. 'Planet of Fire' sees the departure of two companions and the introduction of a new one. "Two companions?" I hear you say, "but surely Tegan left in the last story?" Indeed she did but you may have forgotten that Kamelion joined the TARDIS crew last year. Certainly it seems like the production team did as this is his first, and indeed last, appearance since 'The King's Demons'. Kamelion is once again under the control of the Master who has inadvertently managed to miniaturise himself and needs Kamelion to restore him to his normal size. Kamelion takes the TARDIS to the planet of Sarn to restore the Master. Also along for the ride is a young American called Perpugilliam Brown. fortunately she goes by 'Peri' for short. Meanwhile we learn something of Turlough's mysterious past. He is from a planet called Trion and his family were apparently involved in some sort of rebellion against the leaders of that world. 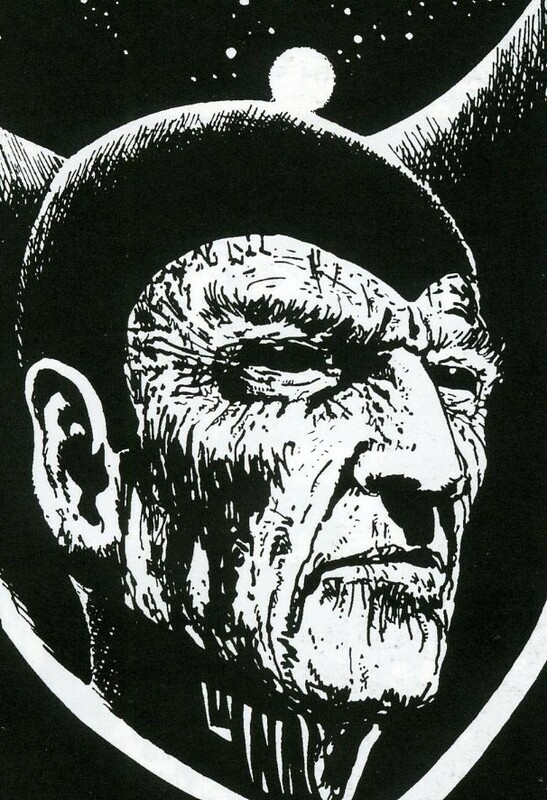 Turlough was exiled to Earth while the rest of his family were sent to Sarn. Here Turlough is reunited with his brother and decides to return home to face up to his actions. Meanwhile, Kamelion is destroyed in a final confrontation with the Master. 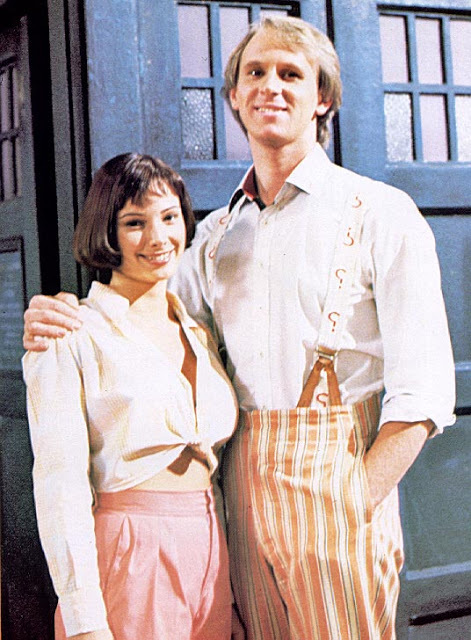 With Turlough and Kamelion both gone, Peri chooses to continue travelling with the Doctor. But they have barely got to know each other before they head off to the planet Androzani Minor for Peter Davison's final story, 'The Caves of Androzani'. This story is classed as one of the best Doctor Who stories ever. It's certainly the best regeneration story. 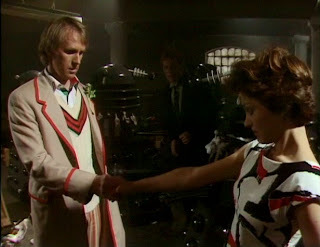 Less than five minutes in to the story both the Doctor and Peri are poisoned and it becomes a race against time to save their lives. They two of them are thrust into the midst of a war between the Androzani military, who want access to a rare drug mined in the caves, and the android army of Sharez Jek, a physically and mentally scarred genius who wants to keep the drug to himself. For once, the Doctor has no interest in aiding either one side or the other. Though drawn into their struggle, his only interest is finding a cure and saving both himself and Peri. Of all the other characters the Doctor encounters in this story, only the mad Sharez Jek has any interest in aiding the Doctor and that's only because Jek is attracted to Peri. Ordinarily a regeneration story would mark the end of the current season, however for only the second time in the series' history the Doctor regenerates part-way through the season. The only other time this had occurred was back in 1966 when William Hartnell changed into Patrick Troughton. This meant that we had one full story with the Sixth Doctor to round out the season. 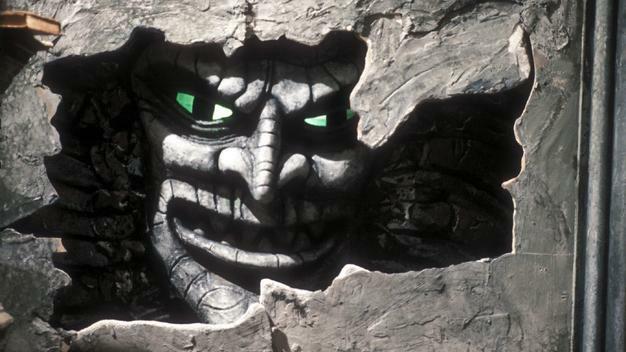 That story was 'The Twin Dilemma' and, in pretty much every way you can think of (including fan appreciation) is about as far from 'Caves of Androzani' as you can get. 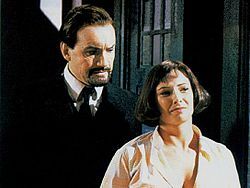 The story sees the Doctor and Peri investigating the abduction of genius twin brothers, Romulus and Remus, whose intellect is being used for nefarious. But to be honest the story is best remembered for two reasons. First of all, we get the first on-screen appearance of the Sixth Doctor's infamous costume which, once seen is impossible to forget. More importantly this is the story that the sees the newly-regenerated Doctor attempt to kill his companion. The picture says it all: the Doctor strangles Peri and although his mental instability is explained as being a result of the regeneration, the whole thing is still inexcusable and does the character no favours at all. 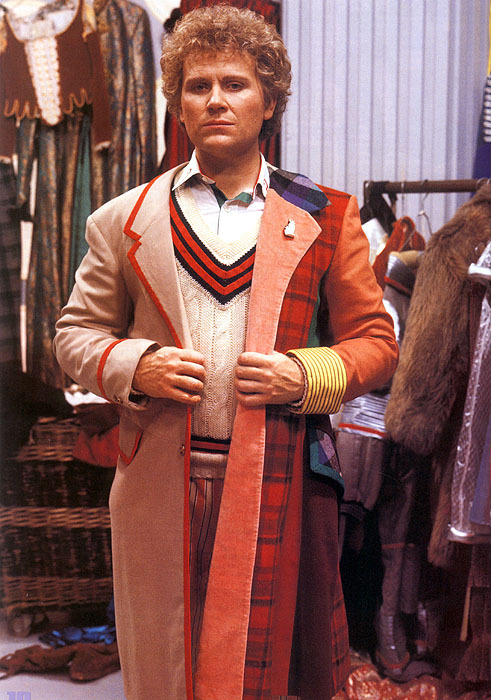 In fact, the Sixth Doctor is only marginally more likable at the end of the story than he was at the start (a deliberate choice by the production team) and it probably left a number of viewers less than enthusiastic about the next season. Meanwhile, on video, Revenge of the Cybermen was given a re-release, this time with the correct Cyberman on the cover. Another Fourth Doctor story, 'The Brain of Morbius' was also released but there were concerns about it being too horrific so about half an hour of the story was edited out. It was also released on LaserDisc. Also released in 1984 were the first two videos in a fan-produced series called 'Mythmakers' The 'Mythmakers' were a long-running series of interview videos which would feature an extensive interview with those who made Doctor Who: from the actors to writers and directors. The first two subjects to be interviewed were Michael Wisher (the actor who first played Davros) and John Leeson, the voice of K9. Nothing at all, as far I know, this year. 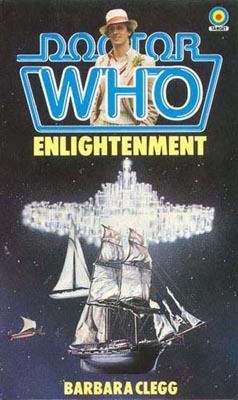 The novelisations once again focused heavily on the Fifth Doctor but there were also books for the first three Doctors published. For the Fifth Doctor, 'Mawdryn Undead', 'Kinda', 'Snakedance', 'Enlightenment', 'Warriors of the Deep' and 'Frontios' all received the novelisation treatment. Of these, Terrance Dicks novelised 'Kinda', 'Snakedance' and 'Warriors of the Deep' while the others were written by their original television authors. 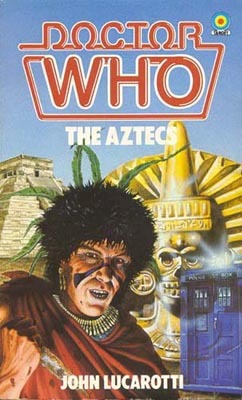 For the other Doctors, John Lucarotti novelised his scripts for First Doctor story 'The Aztecs' while Gerry Davies did the same for the Second Doctor's 'The Highlanders'. 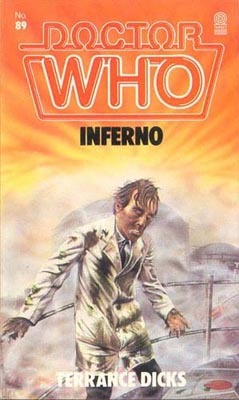 Ian Marter novelised another Second Doctor story, 'The Dominators' and Terrance Dicks novelised Third Doctor story 'Inferno' in what was one of his best books in years. The follow-up to 1983's successful 'A Celebration' was published. Again written by Peter Haining, 'The Key to Time', like it predecessor, covered the history of the programme, this time focusing on key dates from the series' production. 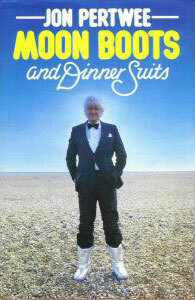 Moon Boots & Dinner Suits - Jon Pertwee became the first of the Doctors to release an autobiography. The intriguingly named 'Moon Boots and Dinner Suits' focused on Pertwee's early life and career prior to Doctor Who and was highly acclaimed at the time. It's been out of print for many years but in 2013 was republished for the first time. By all accounts this was intended to be just the first volume of Pertwee's life but a sequel wouldn't be seen for many years. The Fifth Doctor's era came to an end in the comic strip at around the same time as it did on TV. 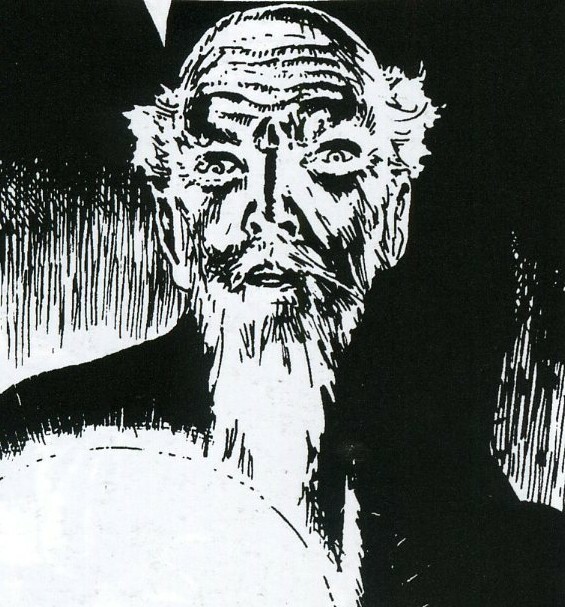 The final comic strip story was called 'The Moderator' and introduced a character would return a few times over the years to plague the Doctor. His name is Josiah Dogbolter, giant alien frog and ruthless businessman. This storyline carries over to the first of the Sixth Doctor strips, titled 'The Shape Shifter'. Incidentally, this issue of the Doctor Who Magazine (issue 88) was also the first to feature Colin Baker on the cover, complete with the tag line 'Colin Baker is the Doctor'. 'The Shape Shifter' not only sees the return of Josiah Dogbolter, whom the Doctor is looking to teach a lesson to, but also introduces us to a new companion, quite unlike any the Doctor has had before. Frosisher is the shape-shifter of the title. He also happens to be a private eye who ends up teaming with the Doctor to steal a large amount of money from Dogbolter. Mission accomplished, Frobisher chooses to stick around for a while. 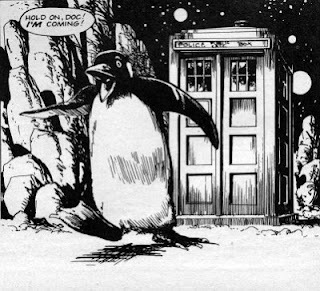 The next story, 'Voyager' sees the Doctor and Frobisher (who has chosen to stay in the form of a penguin "for personal reasons") encounter another renegade Time Lord called Astrolabus. He's completely mad and very, very eccentric. 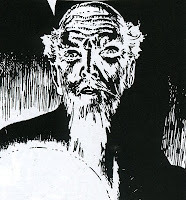 He's also on the run after stealing some ancient star charts from a powerful, almost god-like being called Voyager. Voyager gives the Doctor the task of finding Astrolabus and returning his missing star charts. This is a story arc that will continue over the next couple of stories. 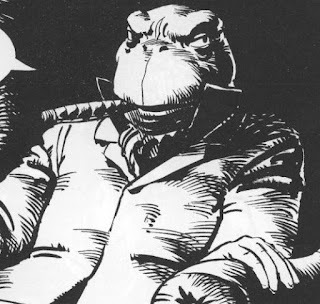 The final strips published in 1984 were the first two parts of 'Polly the Glot', which saw the return of Professor Ivan Asimoff, last seen in Fourth Doctor strip 'The Free-fall Warriors'. 'Polly the Glot' is a humorous tale which sees the Doctor and Frobisher help the Professor to save an endangered species from being hunted down by the dullest alien race in the galaxy. But things take a darker turn when it appears that Astrolabus is posing as the President of the charity that's trying to save the endangered species.